D's Cleaners, in Greencastle, Indiana, is the area's leading cleaner serving Danville, Plainfield, Brownsburg, Greencastle and surrounding areas since 2014. 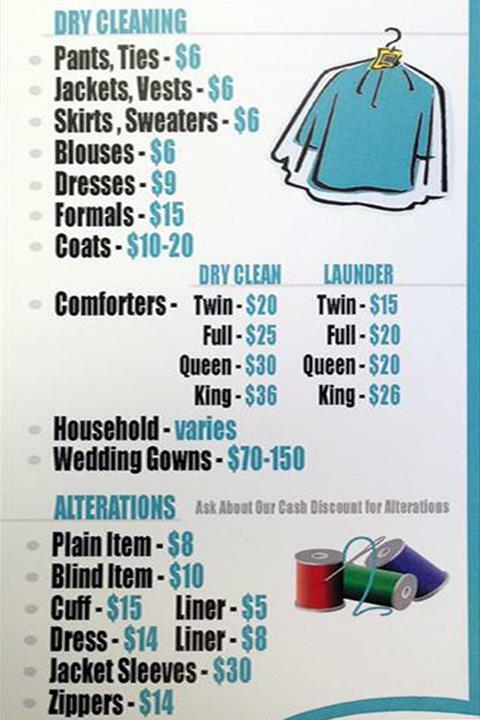 We specialize in dry cleaning, alterations, wash and fold, men's business shirts, tuxedo rentals, wedding gown preservation, embroidery and more. For all your cleaning needs, visit D's Cleaners in Greencastle! Established in 2014. D's Cleaners is proud to serve our local area which includes Danville, Plainfield, Greencastle, and Hendricks County.